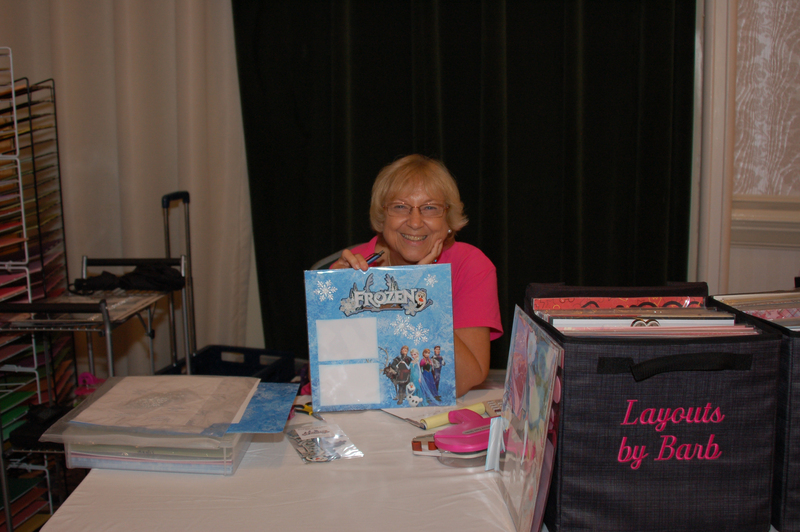 Two incredible page kit vendors join us. These ladies make beautiful pages that cut your work down quite a bit! One of these companies will be in attendance for each event. These vendors provide either fully complete 2-page layouts or 2-page layout kits for assembly. These designs are originals made by the vendors themselves. Either way, NO cutting or planning! This is a great way to speed up your scrapbooking progress and fill in a gap here and there. Also, if you spend way too much time socializing at our scrap events and want to “up” your completed page count, this is a great shortcut! Are your layouts starting to all look the same? Are your creative juices not flowing? Not to worry! Great Scraps creates one of a kind layout kits covering all occasion themes. Each kit contains everything needed to design the layout including detailed directions and a photograph of the layout. If we use any type of tool when designing the layout, we complete that part for you! Don’t drag tons of supplies to the next crop! Travel light, bringing just our layout kits and your basic supplies! You can view our many layouts at greatscraps.biz and you can email us at greatscrapsmd@verizon.net to order any of our kits. Also, keep up to date with our comings and goings on our Facebook page, Great Scraps Scrapbook store. It is the main goal of “Layouts by Barb” to save my customers time by providing layouts which are already finished….you just have to add your pictures and you’re finished. I provide an enormous selection of themes. If you need a particular theme you can email me ahead of time to see what I have available. Prices for the 2-page layouts range from $13.00 to around $16.00. I accept cash and check only at this time.